Researchers at Purdue University are suggesting that fishing by Lake Michigan charter boat anglers has changed in recent years—and the scientists didn’t even have to visit the lake to notice these differences. In fact, Nicholas Simpson who is the primary author on the study has never even fished Lake Michigan. Working with Tomas Höök, fisheries ecologist and IISG associate director for research, Simpson, then an undergraduate, compiled 21 years of charter fishing data obtained from the Illinois, Michigan, and Wisconsin Departments of Natural Resources (DNR). The data, derived from more than 500,000 trips, were readily available from the records charter anglers are required to report to their state DNR after each trip: number of fish harvested—not just caught, location fished, and hours spent fishing. Simpson, Höök, and their co-authors evaluated patterns for five salmonid species—brown trout, Chinook salmon, coho salmon, lake trout, rainbow trout—harvested from May to September during 1992–2012. The data set covers a time when the lake itself has changed dramatically. Lake temperature and other physical and biological factors are different today than they were in 1992. Over the course of the data set, the distribution and number of prey fish, such as alewives, available for salmon varied greatly. In addition, while it may be hard to remember a time when zebra and quagga mussels—invasive filter feeders—didn’t line almost every inch of Lake Michigan, zebra mussels were just becoming an issue in the first year of data. Numerous studies have suggested that the mussels have changed the structure of the Lake Michigan food web over time. The researchers assumed that salmonid species would not be immune to these changes, and some patterns emerged from the charter anglers’ records. Over time, the amount of time charter anglers spent fishing increased. The anglers also shifted their efforts closer to shore and toward the western and northern parts of Lake Michigan. However, patterns in the harvest of individual salmonid species paint a complicated picture. 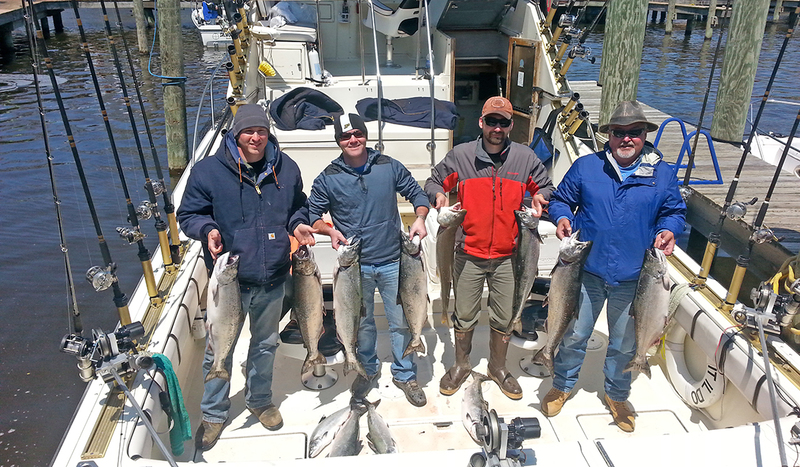 Harvest of lake trout and rainbow trout by charter anglers shifted closer to the shore. The same was not true for Chinook and coho, where harvest was consistently farther out in the lake. Brown trout were harvested progressively further west and south, while lake trout were harvested progressively further east. Multiple species were harvested in new locations and at new depths. 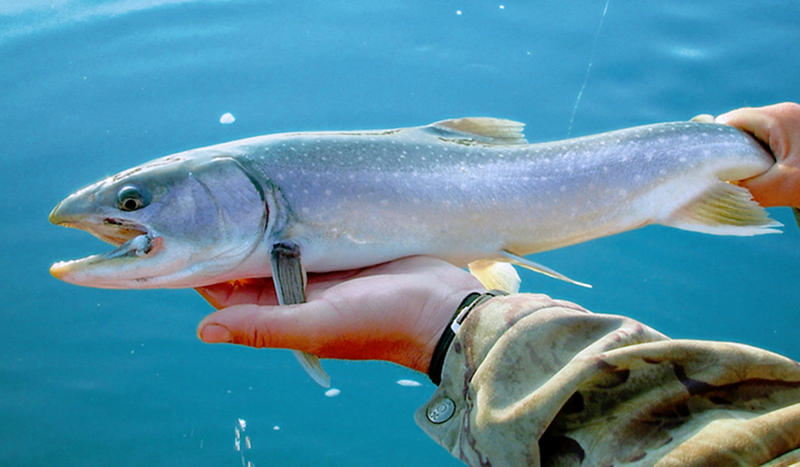 In general, the researchers suggest that many of the changes are related to salmonid feeding. “There’s no previous research in the literature that would suggest that coho or Chinook salmon would vary their diet as much as the other three species,” Simpson added. The researchers stopped short of definitively declaring that fish are changing where they dwell in response to changes in distributions of Lake Michigan nutrients and prey, but they’re confident the results from this paper will be useful. And while fisheries managers will ultimately need to consider this analysis alongside their own monitoring efforts, Simpson said, “I think it’s useful for fisheries managers especially on Lake Michigan to be able to see that there are shifts occurring. The study on their findings was recently published in the Journal of Great Lakes Research.